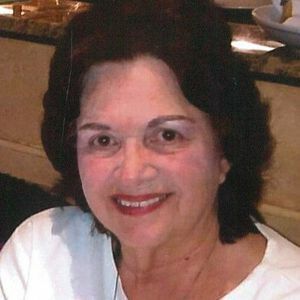 Carol Gnep-Fung, 80 of Avon Lake passed away peacefully on Monday, March 18, 2019. She was born to parents Andrew and Margaret (nee Kudravy) Gnep on December 30, 1938 in Cleveland, OH. Carol worked in sales for Van Rex Gourmet Food Company. Everyone called her "the chocolate lady" because of her love of chocolate. She also sold chocolate molds and the equipment to make fine pastries. Carol loved traveling any chance that she could, especially to Italy. She enjoyed cooking, baking, shopping and looking for that next good bargain; but most of all, she loved spending time with her grandchildren. She is survived by her beloved children Carolyn Kramer, Tony Caforio, and Maryanne Fung; cherished grandchildren Kerrie, Jacob, Zoey, Sage, Zayne, Emily and Taylor. She is preceded in death by her parents Andrew and Margaret (nee Kudravy) Gnep and her sister Eleanor Boughton. Please check back for the date and time for the committal service at St. Joseph Cemetery.